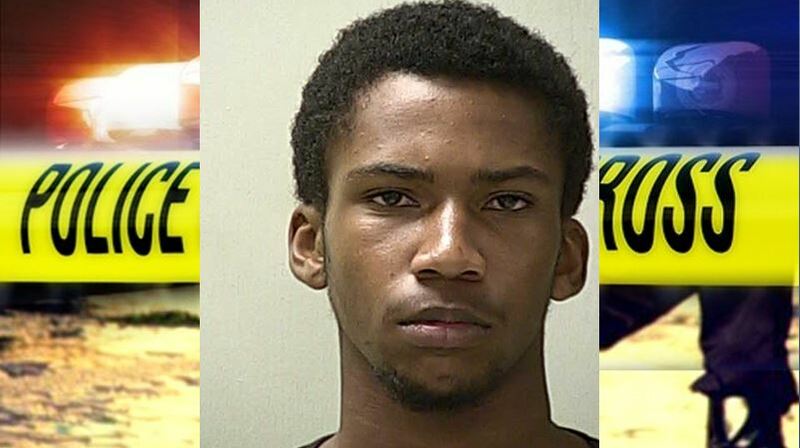 Ocala, Florida — A boy was arrested on Wednesday and charged with Attempted Felony Murder and Home Invasion Robbery for the beating and shooting of a 91-year-old woman that occurred in June. According to the arrest affidavit, someone called in an anonymous tip to Crime Stoppers after reading about the incident in the media. The tipster provided information that placed Jaquan Davis, 16, inside the victim’s home at the time of the home invasion. On June 20, 2015, the Ocala Police Department responded to a home in reference to a burglary in progress. While police were en route, the victim told 911 dispatchers that she believed the intruders were still inside her house. She stated that she had been hurt and would not be able to answer the front door for police. When officers arrived, they made entry to the home through an open window. The suspects had already fled the scene. According to reports, officers found the woman lying on her bed with blood coming from her head. After EMS arrived, they determined that the 91-year-old woman had “significant trauma to her face and head.” Additionally, emergency personnel reported that there was a metal object lodged in the woman’s forehead and a hole behind her left ear. The woman told police that two black males broke in to her house, came into her bedroom, and demanded money. She said that when she told them she didn’t have any, they beat her with a pistol and then shot her. Later, after she was transported to Ocala Regional Medical Center, hospital staff notified police that they found bullet fragments in the victim’s forehead. Hospital staff stated that the woman had been shot twice — once in the forehead and once behind her left ear. At the hospital, the victim told police that while she was in bed she heard a noise. She said she thought it was her daughter coming to check on her, so she yelled out, “I’m back here.” She said that is when two black men entered. The victim told police that she was beat until she was unconscious and called police when she woke up. On September 16 — three days after police received the anonymous tip — Davis was brought into the Ocala Police Department by his mother. Davis admitted that he was in the house and that he demanded money from the victim, but he denied pulling the trigger. He said his accomplice was the person who shot the 91-year-old. Davis was transported to the Marion County Jail. As of September 17, he was being held at the juvenile facility. His next court date is scheduled for September 30. Police said that the victim has since recovered. OPD detectives are still searching for the second suspect.